I had been to Kluang but never visit any of the bakery as it seems not in my radar. 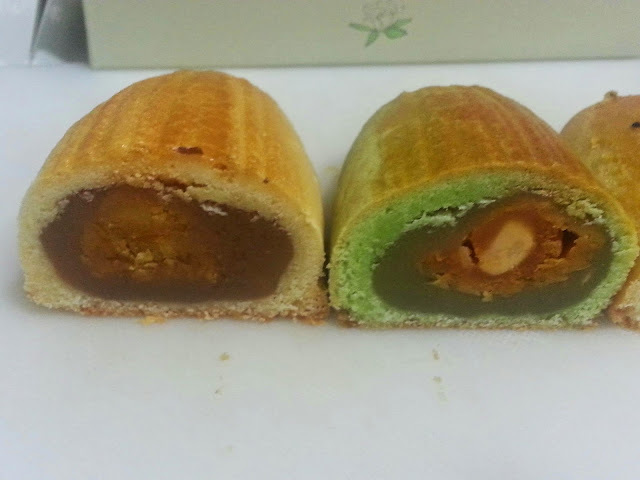 Mooncake festival is coming soon and my friend shared with me the 2 famous mooncake pastries from Kluang. 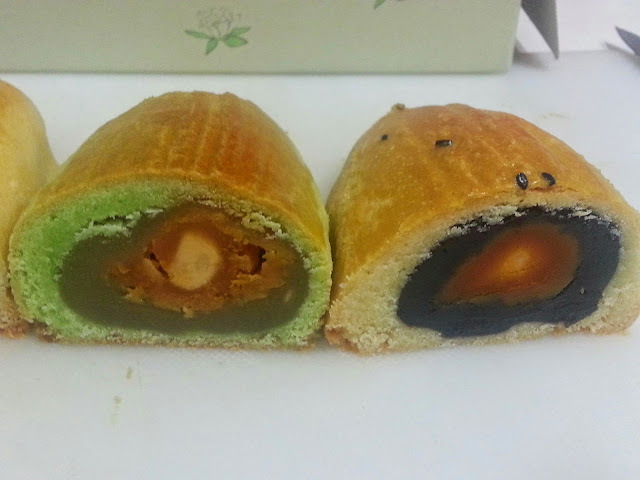 I then recalled I have a colleague from there and I suddenly have the craving(I am totally not a mooncake person). I asked my colleague to get for me. Any of the 2 famous so long as no queue. Mooncake to me equal sweet so I seldom want to have it. 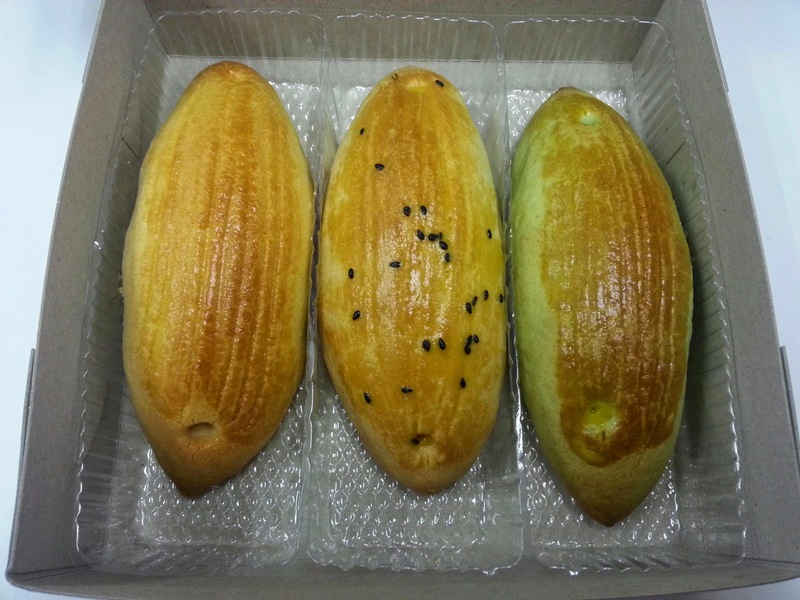 I do like the teochew (or-ni aka yam) and shanghai version(only the skin, filling most is sweet) but not too much. 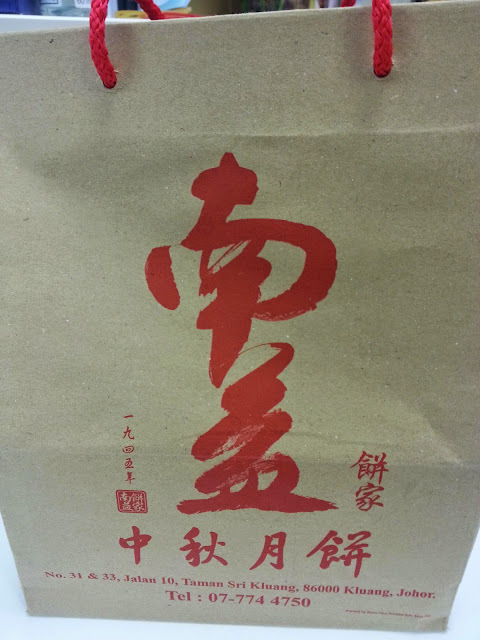 My colleague got me Nan Yi which is not the 2 famous and I never heard of. 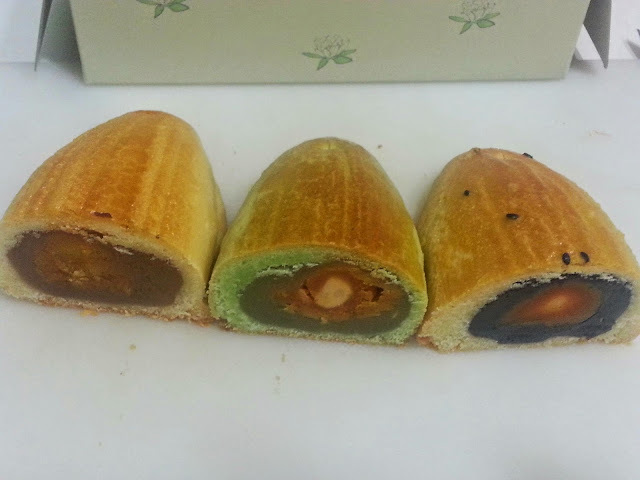 I did a search online and found that it is also a famous and traditional bakery in Kluang. My colleague is local so I think what he recommended should be good. The shape of this mooncake is different from traditional round or square. It like the long oval or local people call it Tikus (which means mouse). 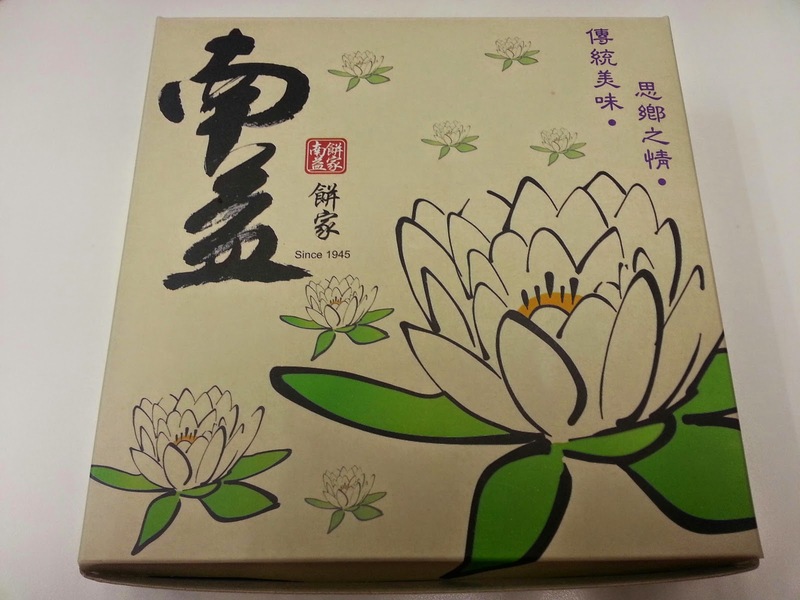 There are 3 flavours in the box - traditional lotus paste, pandan lotus paste and red bean paste. It costed me RM32 for single yolk version. I personally like the overall texture of pandan lotus paste. One of my housemate said compare to the other famous one she prefer that because of the rich milky taste in the skin but that filling is sweet. Good thing about Nan Yi is it is not that sweet. I do not try others so not sure how is the actual taste but I guess it does based on personal preference. If you want to try this special mooncake and happen to pass by Kluang, do not miss it.